One hell of a show! 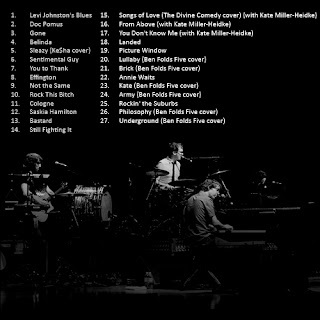 Ben Folds is one talented man. Two and a half hours of solid entertainment. 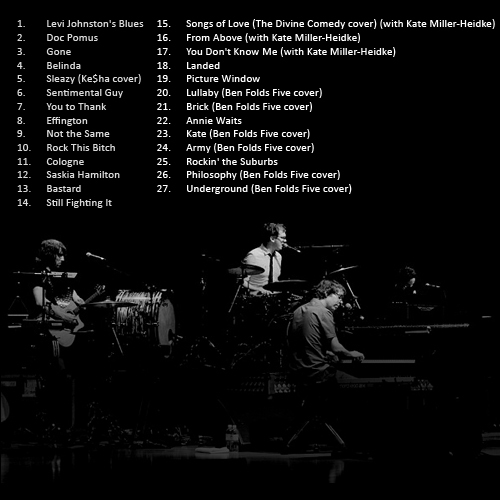 Apparently we were also recorded during 'Not The Same' for a forthcoming Ben Folds retrospective CD. 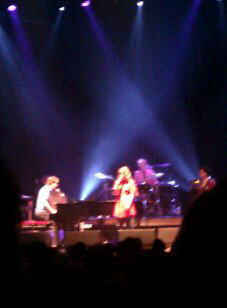 Kate Miller-Heidke was supporting. A short but sweet set, amazing regardless. Played another new song, about a drunk friend/family member at a get together. Also good to hear Fatty Gets A Stylist playing over the PA before the set. I didn't record Kate's set sadly, but I did get Ben's. Only used my LS-10, no external mics - however the recording sounds great. Recording has been edited, tracked and made into MP3's. Will upload once I can get to a stable net connection. Hangin out to hear this after going to the show in Canberra!! Don't get too excited. The recording is far from my usual high quality work. I didn't take my recording rig, just a handheld recorder. Funnily enough, I recorded KMH but not BF. Will upload Kate's set on dime at some point. hey I was wondering when you'll be posting ben's gig?? 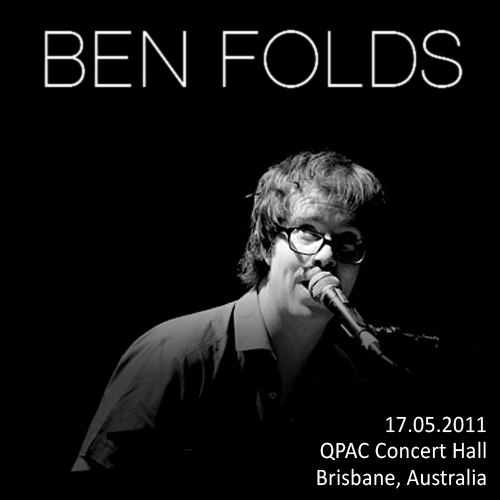 See my latest post for a Ben Folds update. Sounds good to me. I'd really enjoy the whole thing!